Researcher Zhen Wang was able to show that on average, multitaskers are actually less likely to be productive, yet they feel more “emotionally satisfied” with their work (creating an illusion of productivity). I realized that focusing on writing meant learning how to write and only write. When I was writing and only writing– not listening to music or casting sidelong glances at seven open tabs on my browser– I was really able to focus on what I was saying rather than spreading my attention over a bunch of different things. 1. I put more energy into living in the moment. I realized I spent a great deal of time worrying about various things– people I needed to email, chores I needed to do, errands I needed to run. By doing this, I wasn’t giving my story my full attention. I wasn’t giving all those worries my full attention either. I was failing at writing and attending to all my to-do list items, because I wasn’t fully dedicating my mind to either one! To fully dedicate myself to writing, I realized, I had to take a Zen approach to it and be extremely deliberate about controlling what I did and did not think about. 2. I stopped playing music when I was writing. I love music so much. For most of my life, I took whatever measures possible to always be listening to music at every waking moment. Even bad music was preferable to silence, in my mind. I even remember my childhood according to which songs I was listening to at the time; all the years are like playlists. So you can imagine, when I decided to try writing without music, it was a huge deal for me. But, to my surprise, it really helped me with my writing. When there was nothing but silence, I was able to write more quickly and make less mistakes– and I realized that the quality of my stories actually improved, too. Also, listening to music after a long period of silently typing is the best thing ever. 3. I found some helpful apps. There are lots of jokes to be made about using an app called “Self Control.” But seriously, it’s pretty great, and it’s free. You can block certain websites for a certain time period, which makes it easier to write productively. Using the blacklist on Self Control allows you to still research questions for your story online, but prevents you from taking a little side-detour to Facebook while you’re at it. If you’re using a PC, there are plenty of free apps out there that do the same thing. Using these apps really helped me maximize my writing time. 4. I changed the scenery. Sometimes, when you go to a certain place with the idea that you’re going to write and only write there, it really helps your productivity. JK Rowling, for instance, was having trouble finishing the last Harry Potter book, so she went to a fancy hotel in Edinburgh, Scotland and just wrote the rest of it there. (I wish I could finish all my stories in fancy Edinburgh hotels! Alas!) So I planned trips to the library and (quiet) coffee shops with the purpose of writing and only writing. Those trips were often very productive, because I knew exactly what I wanted to accomplish beforehand. Doing only one thing at a time, I realized, is such an incredible luxury. When I started writing and only writing, I was happier with the work I was producing and I felt calmer. Since I felt calmer, I was better-equipped to tackle writing problems as well as non-writing problems. Coming Tomorrow: Finding Focus Day 3: More Helpful Writing Apps! I dont play songs while writing, but sometimes I put on an instrumental track to get into the mood of a particular scene I’m writing. It helps with emotions. The zen masters used to say “do only one thing at a time. When you are eating, just eat. When you are sitting, just sit.” and so on. But with our modern world, they have had to tailor their advice to the habits of today’s devotee. FIRST, I see what I am doing RIGHT. SECOND, I see where I am going astray! I, too, love music, but I have written in silence for YEARS. Why? Because anything with words has me singing along, at least in my head – I had to shut that voice out. For a time I would listen to music alone (not songs), which certainly helps create a mood, but it also kept me there and sometimes I needed to move on to a different mood during the course of that hour (or whatever). So I chopped that out too. My house is silent from dawn ’til dusk, then I sit back, enjoy some wine and watch a DVD. That silence is a huge PLUS for me and I didn’t even realize what a good thing that was! I’m thrilled! And, yes, I think that explains quite well how I managed to write the first book so well and how I finished an even better sequel in only nine months (not bad for books that are complex and near 600 pages apiece). Now for the bad news – If I’m having a tough time with something in my writing, I “fill in the time” by blogging and by catching up with everyone and everything else. Uh-oh! NOT GOOD. I’m not filling in time at all – I’m wasting it with distraction! I’m “being busy” as though the problem will fix itself in the background! I see I shall have to limit myself to a scheduled hour in the morning and another, maybe, in the late afternoon – and chop the Internet from the rest of my day. It sneaks up on you! 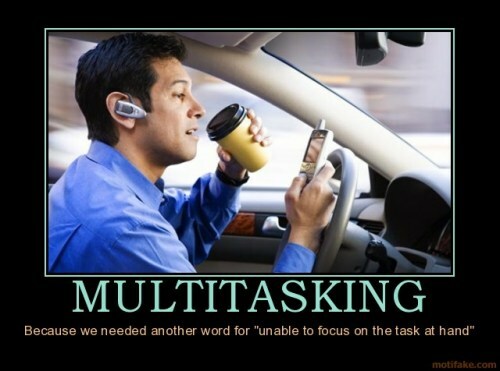 Distraction, so-called “filling in time”. Thank you so much for this insight, Claire. This has given me the wake-up call I needed to avoid a crash-and-burn on book three, wondering what had happened. Huge hugs to you, too! 🙂 Thank you so much for the kind words!!! Good luck on book three!!! Thank you – and I’m glad I don’t have to look up ANY of those things for ANY reason!